Giving Online is simple, secure, and convenient. Electronic contributions can be made on a one-time or recurring basis from a checking or savings account, or by credit card. Donations can be designated toward general expenses or to specific ministries and programs as listed on the secure payment page. Gifts for ministries and needs “Above & Beyond” St. Andrew’s budget can be selected and funded as well. Click below to get started. Give securely by phone! 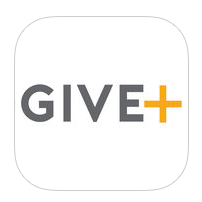 Just download this free app to your smartphone at Apple Itunes or Google Play, find The Lutheran Church of St. Andrew and start giving! You can give as a guest or set up an account. Give by credit card, debit card or EFT. It’s that simple! Earn funds for St. Andrew automatically when you shop online! Visit www.igive.com, follow instructions to select “Lutheran Church of St. Andrew” as your cause, and start shopping! The church will receive a percentage of your purchases at over 1000 participating online retailers including Macys, Pottery Barn, REI, Staples, Petco, Expedia, Best Buy, QVC, and many more. Each participating online store donates a percentage of all your purchases to the charity of your choice. Once the iGive button is on your browser, the credit is automatic – you don’t even have to think about it. Wondering if your browser button is working? Click HERE for iGive diagnostics. Find us on “Amazon Smile” too – click HERE to get started at smile.amazon.com! Select “Lutheran Church of St. Andrew” as your cause, and then start shopping! St. Andrew will get a percentage of every purchase!